From boutique gyms to home-delivered meals, weight loss products can cost a lot of money. According to 2014 research out of Duke University’s medical school, consumers spend, on average, anywhere from $70 per pound lost using Weight Watchers to $248 per pound using commercial drug Orlistat. But you don’t need to spend so much to slim down. With these tips, you can lose weight on the cheap, without the costly products. 1. Commit to eating at home. Unless you’re eating caviar and prime rib daily, you can save money and cut calories by avoiding restaurants. According to a review of 29 studies, the more you eat out, the more calories you are likely to consume, with an average of 35 percent of adults’ calories coming from commercial food. According to the U.S. Department of Agriculture (USDA), the average meal at a full-service restaurant costs $9 to $11, but the average meal at home is $3.60 on the most generous budget. Beans and brown rice are both good sources of fiber, which helps keep you feeling fuller longer and may help curb snacking. Both staples also happen to be much cheaper when you buy in bulk. Buying the dried versions, you’ll spend 60 cents to 70 cents per pound, compared with $1 to $2 for a standard can of beans or $2 to $4 for a pre-seasoned box of rice. When educating consumers on shopping and eating healthy meals, the first, most important piece of advice from government agencies is to plan menus for the week. Why? If you have a meal you plan to eat, you’re less likely to improvise with junk food. 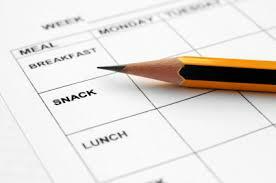 Setting aside some time on the weekend to plan some healthy meals for yourself during the work week can save you those unintended calories. 4. Make a list, and stick to it. If you keep unhealthy foods out of your kitchen, you’re much less likely to eat them. 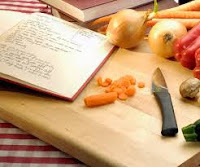 To avoid temptation, make a grocery list when you’re creating your week’s menu, and stick to it while shopping. 5. Know when to buy frozen. Fresh produce is packed with nutrients and contains few calories, but it’s not always cheap. But flash frozen produce has nearly the same nutrient value as fresh, according to a 2007 research review published in the Journal of the Science of Food and Agriculture, and often at a much lower price. 1. Walk or bike instead of driving. 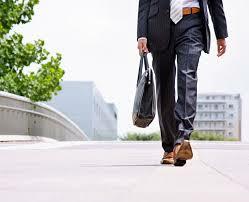 If you’re accustomed to driving everywhere, walking or biking instead can be rewarding and calorie-torching. Every mile you walk is worth 100 to 200 calories, depending on your weight, and every mile biked is worth 50 to 120, so why not save some gas and sweat a little? Gym memberships can cost upwards of $100 per month, but there are several cheaper options for most people. A local recreation center can cost as little as $1.50 to $3 per session, and no-frills gyms such as Planet Fitness cost just $10 a month (with sign-up fee). If you prefer a traditional gym, your health insurance plan may come with monthly fee discounts on local or national chains— details should be available on your insurer’s website. If you’re considering a new gym, take advantage of promotions such as reduced sign-up fees and free passes so you can try before you commit. 3. 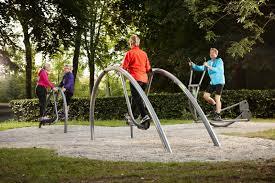 Find a fitness park. If working out inside isn’t your thing, you may already have heard of or seen fitness parks. More city developers are adding permanent, weather-proof workout machines to public parks, usually spaced out in stations. You can walk or jog between stations to get your heart rate up in between sets, all for free. Your county or city information page should have locations listed. 4. Take advantage of free videos. The Internet is full of free videos, including workout videos. If you’d rather not sweat in public, you can enjoy on-demand workout videos in your own home. Websites like BodyRock.tv, FitnessBlender.com and YouTube all have free exercise routines you can follow, no matter your fitness level. 5. Join an intramural team. For some people, the only way to get fit is to have fun; they just won’t stick with an activity otherwise. If you believe committing to a team sport would help you commit to a more active lifestyle, consider joining an adult team. Your city’s website may have open team listings online, and many companies sponsor employee teams. Costs to join are anywhere from free for residents to about $30 per season, but the fun and health benefits you’ll have are priceless.